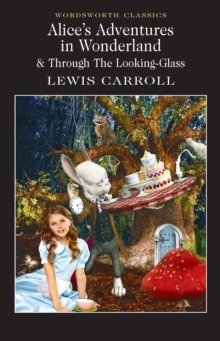 With an Introduction and Notes by Michael Irwin, Professor of English Literature, University of Kent at CanterburyThis selection of Carroll's works includes Alice's Adventures in Wonderland and its sequel, Through the Looking-Glass, both containing the famous illustrations by Sir John Tenniel. No greater books for children have ever been written. The simple language, dreamlike atmosphere, and fantastical characters are as appealing to young readers today as ever they were. Meanwhile, however, these apparently simple stories have become recognised as adult masterpieces, and extraordinary experiments, years ahead of their time, in Modernism and Surrealism. Through wordplay, parody and logical and philosophical puzzles, Carroll engenders a variety of sub-texts, teasing, ominous or melancholy. For all the surface playfulness there is meaning everywhere.